We have just ridden the new Activa 125. Unveiled first at the 2014 Auto Expo, the Activa 125 uses the Activa 110's familiar body but with a bigger, 125cc engine. It squares off against the Suzuki Access, the Vespa and the Mahindra Rodeo / Duro. 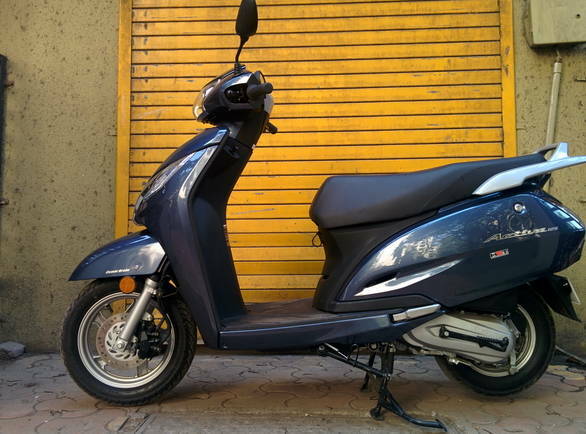 In a passing glance, it is hard to distinguish the Activa 125 from its 110cc sibling. But when you look closely, you will notice the obvious differences. The headlamp unit is new and so is the surrounding cowl (Hero Maestro, anyone?). 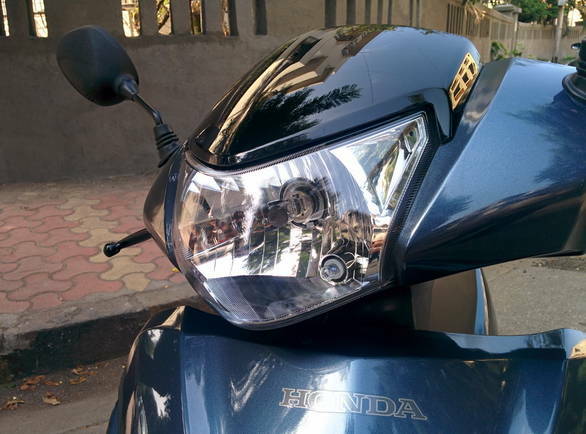 Unlike the Activa 110, the clear-lens indicators are placed on the apron. The instrument cluster has an analogue speedometer, while the odometer, fuel-gauge and trip-meter are digital. The Activa 125 doesn't come with a brake lock clamp or pass light. The seat and tail lamps take inspiration from the 110. The grab rail is a chunky alloy unit and is tastefully done. HMSI has kitted the 125 with the aforementioned instrument cluster, an optional front disc brake, combined braking system, optional alloy wheels (12-inch front and 10-inch rear), tubeless tyres, viscous air-filter and a maintenance free battery. The boot space is also claimed to be the highest in its segment. The Activa 125 gets a new 124.9cc engine (the Shine and Stunner both have a 124.7cc motor), which delivers 8.7PS and 10.12Nm of power and torque respectively. 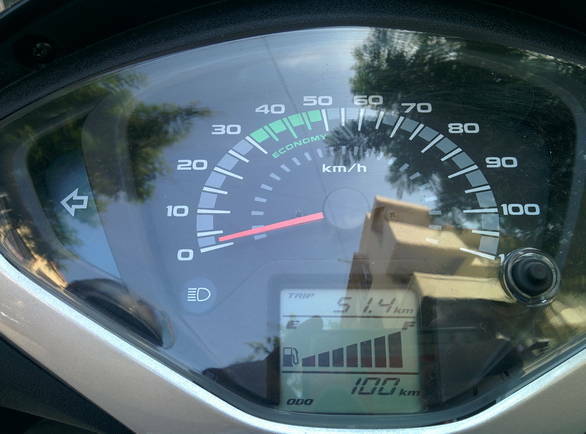 HMSI claims 59kmpl fuel efficiency from the Activa 125. 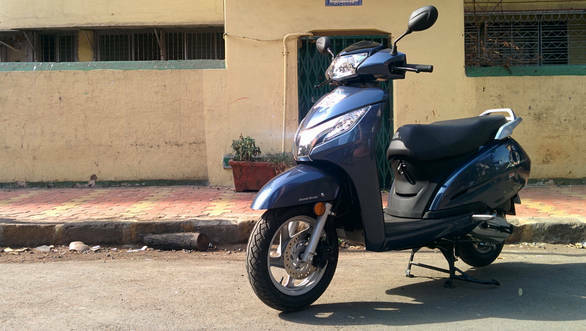 On the move, the scooter feels quick and unstressed up to a speedo indicated 75kmph, after which the power delivery tapers. The engine though is a very smooth unit and those used to riding the 110 will appreciate the familiarity. 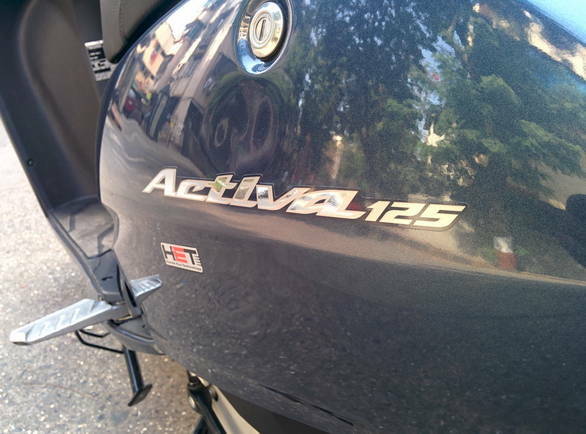 Compared to the Activa 110, the 125 feels slightly more eager and therefore easier to zip around traffic. Though better at overtaking too, it doesn't feel as responsive as the Access 125. Special mention must be made of the front disc brake with the combined braking system. We have seen this setup being used in the Aviator before and in the Activa 125 the brakes inspire a lot of confidence, especially during those panic-braking situations. The Activa 125's broad seat easily accommodates a 6-footer and the foot-well quite roomy. In fact you can easily carry small shopping bags (or a relatively large one) attached to the front retractable hook. The suspension though leaves something to be desired. It isn't as supple as the Activa 110 but more stiffer like the Activa i. Every bump is felt, but we believe that the ride will be better with a pillion.